Sony Interview at CP+: It is Easy to Add 4K/60p, 10-bit 4:2:2 to a7S III, But it will Also Go Beyond the Expectation ! dpreview has interviewed Sony Kenji Tanaka, VP and Senior General Manager at CP+ 2019. 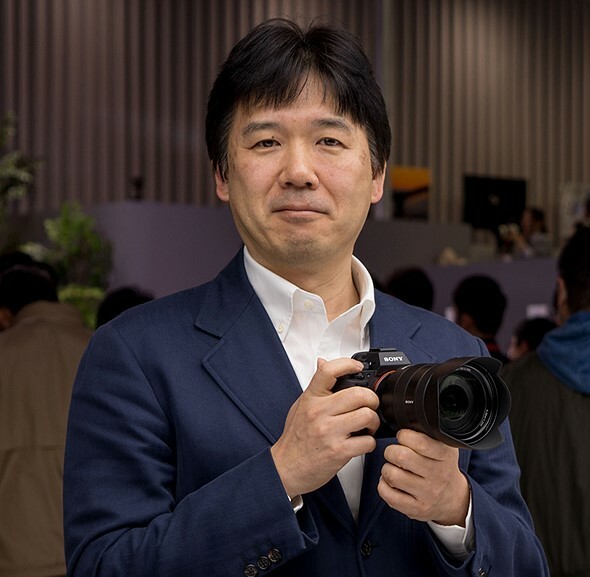 Kenji Tanaka said that it is easy to add 4K/60p, 10-bit 4:2:2 to Sony a7S III, but he want to create something that goes beyond the expectations of our customers. And he also said that a7S like APS-C mirrorless camera is possible. Sony is also focus on APS-C mirrorless cameras now. First full-frame, then APS-C. It has been said that Sony has ignored the APS-C market, and our answer is the a6400. Sony APS-C “GM” like high-end lenses is coming. APS-C mirrorless cameras could be also used for professional customers. APS-C is good for both amateur and professional customers, because it’s size is close to Super 35mm, [which is a] video Image sensor format. — So the rumored high-end a7000 APS-C mirrorless camera may coming. Sony a7S like APS-C mirrorless camera is possible. That is possible, I think. For example, looking at the US market, at the BlackMagic Pocket Cinema Camera, I think that’s a wonderful product for professionals. Not only for high-end amateurs. The sensor size of that camera is Micro Four Thirds, and [Sony’s] APS-C is bigger. Sony cine lenses for APS-C mirrorless camera is possible. It is easy to add 4K 60p, 10bit 4:2:2 to a7S III, but we need go beyond expectations. We’ve had a lot of feedback from the market, including from DPReview! The basic expectation is for things like 4K/60, 10-bit 4:2:2, and a lot of manufacturers are doing that right now, but I want to think in a different way and create something that goes beyond the expectations of our customers. It’s easy to add 4K/60, but beyond these specs, a lot of customers have other kinds of demands, and that’s what we’re researching. You can read full interview at dpreview. It’s super frustrating how long they are taking to release the a7siii. The a7sii is a great camera but it doesn’t cut it anymore for my clients (needing better slow motion for one). I’ve been waiting for a long time to upgrade. Looks like I’ll have to go with the fs7ii as I do like Sony. But I was definitely waiting for the a7siii. And I can’t really wait another six months. Previous Previous post: Sony IMX555CQR – 102MP Full Frame Sensor with 6K Video ? Next Next post: Yongnuo FE 50mm f/1.8 AF Lens to be Announced Soon !